Valid identification must be presented at the reception before proceeding to the designated area of booking. 50% Down payment is required in order to successfully reserve a particular area of the resort. It shall be deposited through our bank account (BPI or Bank of Commerce) and the deposit slip must be sent to our email (inquiries@thefarmprivateresort.com) for confirmation. The remaining balance should be paid in cash on the day of the reservation. We do not allow downgrading of packages. Please be advised that if you cancel the reservation, the reservation fee shall be forfeited. It is non-refundable and non-rebookable. Guests can only use the resort for the agreed period. For day reservations, check-in time is 9am and check-out time is 5pm. For overnight reservations, check-in time is 6pm and check-out time is 8am. For 23-hour reservations, guests may choose from either 9am to 8am or 6pm to 5pm. Check-out time must be strictly followed. In the event that the management has already reserved the resort to other guests beforehand, and the guest fails to vacate the resort, the management reserves the right to assist the guest to move out of the resort. The resort will not in any way, be responsible for the loss of guest's belongings or any other property, please lock your cars & rooms at all times. In special cases, the resort may offer an accommodation other than which has been arranged, if it does not differ in any manner from which was given in the confirmed booking. Guests who ask to extend their stay may be given a different area of the resort to the one which they were originally accommodated. Hazardous materials such as gas cylinders, fuels, firearms, fireworks and etc. 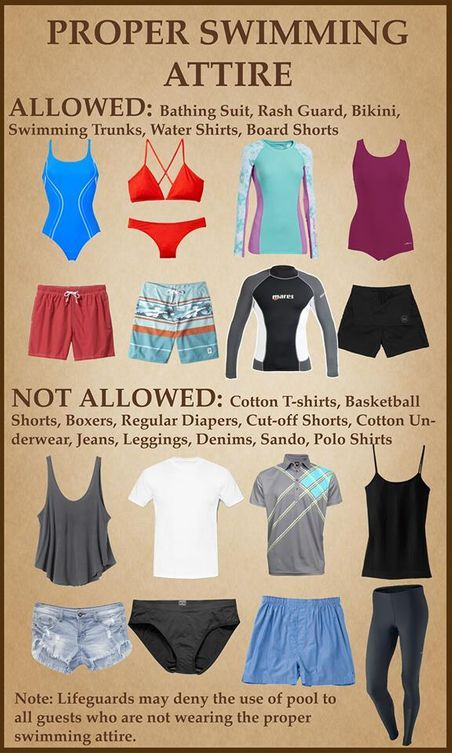 are strictly prohibited in the resort's premises. Guests shall not move furnishings, or interfere with the electrical network or any other installations in the rooms or on the premises of the resort without the consent of the resort’s management. If the guest becomes ill or injured, the resort can help the provision of medical assistance or, to arrange for the guest to be taken to the hospital, all at the guest’s expenses. Lights, Air-con and other electrical devices in the room must be switched off when not in use. Smoking inside the room is prohibited. Do not leave minors without adult’s supervision in the resort. Guests are required to pay for any loss or damage caused to the resort's property. The Green & Saddle Farm Resort is divided into three areas (East View, West View & South View) and each area is exclusively reserved for one group of guest. Please respect the privacy of other guests, physically or verbally threatening any other person, loitering, annoying others through noisy or boisterous activities, unnecessary staring or stalking, or in any other way creating disturbances which is disruptive or dangerous to others or the business activities of the Green & Saddle Farm Resort is strictly prohibited. As we treat our guests with respect and courtesy we also request our guests to treat our staff and other guests in the same manner. Horseback riding is available for rent based on the package rate. A handler is provided to assist riders. Riders must be cautious when interacting with the horse because it may kick and bite when surprised or frightened. It is strictly advised that children are accompanied by adults. Alcoholic drinks are discouraged; however, any unnecessary actions resulting from intoxication shall be dealt with accordingly. Guests are provided with uniformed attendants for assistance and are not allowed to mingle with the visitors unless needed or necessary. CCTVs are installed at strategic locations for security purposes. Other services, appliances and catering that will be brought in the resort have a corresponding corkage fee. Use pool at your own risk. We are not responsible for accidents and injuries. Take a shower before entering the pool. Proper swimming attire is required. Do not swim if you have infectious or communicable diseases. No running, rough play, or excessive noise in the pool and on the pool deck. Jumping and diving into the pool are not allowed. Swim diapers or plastic pants are required for babies and toddlers. No spitting, spouting of water, or blowing of nose in the pool. Adults with children 12 years of age and younger must supervise their children in the resort at all times, even in the changing rooms. When children 12 years of age and younger are in the water an adult must be in the water within an arm’s reach from them at all times. Floating devices must NEVER be replaced in-water without adult’s supervision. For every 2 children at least 1 adult should be with them at all times. No pets allowed in the swimming pool. No glass or metal articles in or around the pool area. Food and Drinks are not allowed in or around the pool area. Water must be cleared of all swimmers at the first clap of thunder or lightning, or any other dangerous weather condition. The pool must remain cleared for 30 minutes after the last clap of thunder, 45 minutes for lightening. Patrons must remain at least 20 ft. away from the deck, if the weather worsens, the pool area must be vacated. The management reserves the right to deny use of pool to anyone at any time. The Green and Saddle Farm Resort shall not be liable to the guest or travel agency/ tour operator by reason of any failure to or delay in performing any of its obligations under this agreement if the delay or failure is due to FORCE MAJEURE. Any additional expenses incurred from changes in schedule brought about by weather, road and local conditions shall be borne by the passengers or travel agency/ tour operator. However, best effort will be extended in assisting the guests in safeguarding their interests. In case cancellation is due to fortuitous events, force majeure or acts of God as defined by law, both parties will make an agreement for rescheduling. If a rescheduling is not possible due to time and/or occupancy constraint, both parties will make a settlement and restitution, taking into consideration that none is at fault. The Green and Saddle Farm Resort will not be responsible for any injuries, accidents, or death. The Green and Saddle Farm Resort will not be responsible for expenses incurred due to airline, ferry, or bus delays or cancellation, lost luggage, health issues, or other unwanted and unforeseen scenarios.